Several weeks ago, a video of a trangender woman exploding in anger after being repeatedly misgendered in a GameStop went viral. Now she’s speaking out. Tiffany Moore was caught on a cell phone camera video that was posted to social media in late December. In the video, she is angry about being misgendered, shouts, curses and knocks over a display. The video went viral and conservatives mocked her, insinuating that “real” women don’t get angry when mistreated. 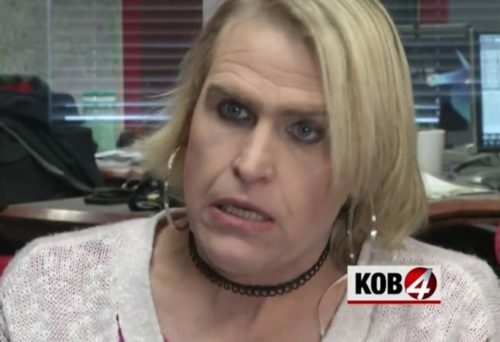 “What’s really sad is it’s bringing so many bigots out of the woodwork,” she told the local TV station KOB 4. But she said that she doesn’t regret her reaction. “I look back at it and if I could, I wouldn’t change a single thing,” she said. And she said that she’s using her newfound internet fame to raise awareness about transphobia. GameStop has put out a statement calling the incident “unfortunate” – and standing behind their employee.